Front and back print. Hand cut stencil based on original painting, hand screen printed. 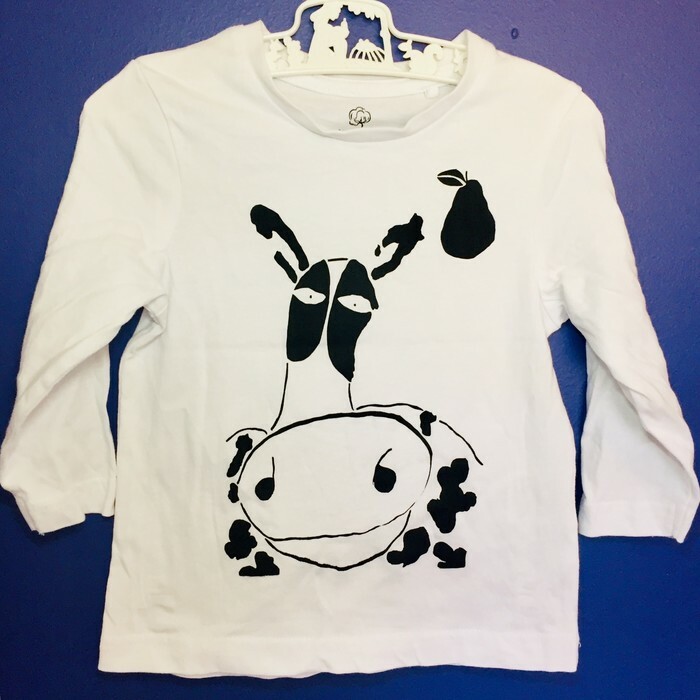 Unique for your little one. 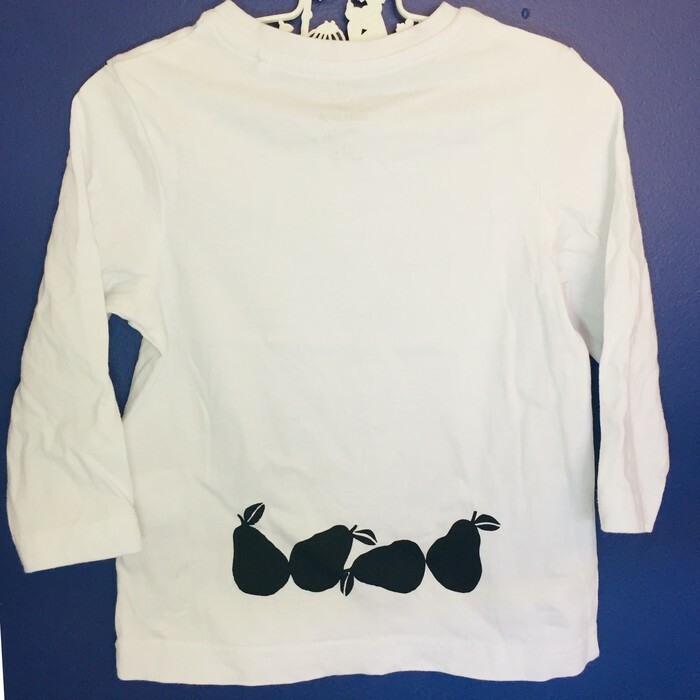 Sizes 1 to 5 children’s, plus 2 x 14 or adult small (Bonds round neck crew) available. Please confirm size when ordering.